On the 18th of April 2008 I was 17 years old and 28 weeks pregnant. I woke to find a small splotch of blood. It wasn’t much but I went and saw my midwife. She immediately decided I needed to have a scan, 2 hours away in Greymouth. When I got there, an ecg was done and I was seen by a locom obstetrician. He asked me some questions, felt my stomach and told me all was fine. He said to stay overnight and if I didn’t have any more bleeding I could go home. The next morning no-one saw me, and no-one checked William’s heartbeat. I was asked by a nurse if I had anymore bleeding, which I hadn’t, so I was sent home. I was ecstatic – my baby was fine, everything was okay. I was so relieved and happy. The next morning I woke up crying. I didn’t feel pregnant anymore and I felt devastated for no reason. I carried on with my day until my midwife called me to come in and get checked out. She wasn’t happy that I didn’t get a scan and just felt she needed to see me. I nearly didn’t go in because I really thought if the doctor said everything was fine then it was. I will never forget going into the clinic all happy and bouncy as I always am. I jump onto the bed, nattering away about how the doctor had said all was well. The midwife puts the Doppler on my tummy and I wait, she moves it around and I wait some more. She goes and gets another mw who cant find the heartbeat either. They told me everything could still be okay and I held on to that. It took 5 hours to get myself to Greymouth again. I was in limbo between hope and devastation until the moment I walked through the door when I felt the bleeding start. Soon I had a scan. The ob didn’t want to tell me. He kept searching and I said “he’s dead isn’t he” and the ob said “I’m so sorry”. That moment where every last bit of hope was taken from me, everything stood still. That pain and agony, it squeezes you. I pushed my hands into my eyes. It felt like forever. 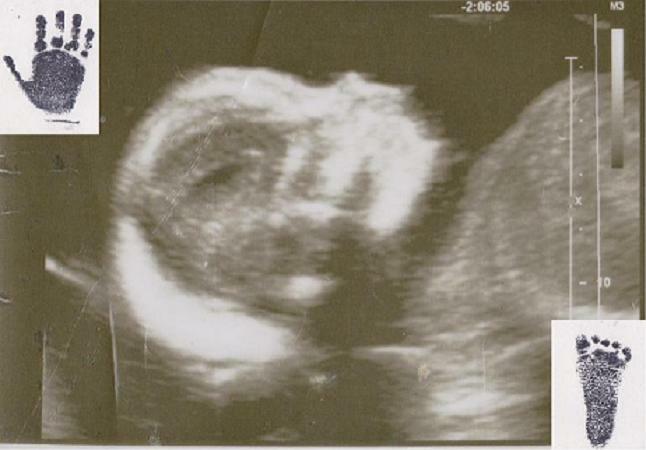 I gave birth the next day, on the 21st of April 2008, at 29weeks. I held my beautiful boy in my arms and I loved him so much. I took him home and we had a funeral. It turned out I had had a placental abruption. Every mw and ob I crossed apologized and said they don’t understand why the ob didn’t do a scan and some of them even told me to lay a complaint. Then I found out the next part… William was small for his dates. In Westport, you don’t get one midwife. You see a different person every time. None of the midwives had picked up that he wasn’t growing or moving. This might sound strange, but I was 17 and didn’t know the first thing about having a baby so I didn’t know that he hadn’t kicked and I didn’t know that it wasn’t normal. It wasn’t until I had my second child I found out what kicking actually was. I don’t understand how the mw’s didn’t pick this up. Every time I have had the doppler put on my stomach with my next two babies they would kick like crazy. You would think the midwives would have noticed that there was no movement, or at least asked me. I don’t blame anyone for William’s death, but I do blame them for not giving him a chance to live. If the mw’s had picked up that he was small and/or not moving he would have been treated for iugr and given a chance. If the OB had given me a scan they would have picked up something – whether it was the abruption, the lack of movement, or iugr. I would have had proper monitoring and maybe a c-section and my baby would have had a chance. The ob said he doesn’t do scans when a woman bleeds in pregnancy except to check for placenta previa, which previous scans had shown I didn’t have. William will have been 5 next month. I am still heartbroken and I still think of him every day. I just thought I would mention reading the story about the woman who’s mw texted her to drink cold water and sit down really made me realize how important it is to tell you mw everything and not to feel bad for bugging her or sounding paranoid. Now that I have read this next time I will never hesitate to tell them any concerns I have. Thanks to your website, I feel a lot safer over my next pregnancy and that I will have some knowledge to make sure everything is going well (the last two I was scared the whole time).